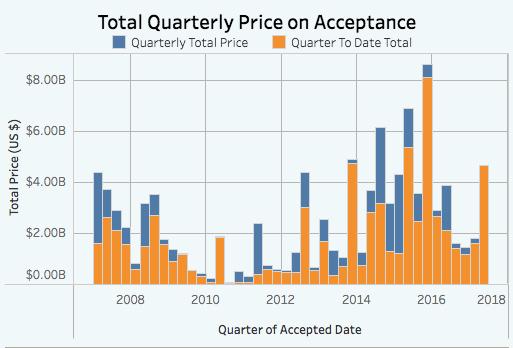 The second quarter is not over yet, but we’ve already seen the highest dollar value on accepted condo projects in Manhattan since the fourth quarter of 2015. 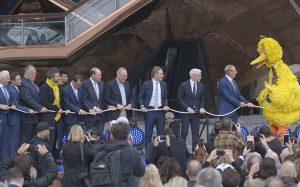 That’s mostly thanks to Extell Development’s Central Park Tower on Billionaires’ Row at 217 West 57th Street. The property’s record-high accepted offering plan comes in at over $4.02 billion, bringing the second quarter total for Manhattan to $4.66 billion. While this is the highest seen in a year-and-a-half, it still pales in comparison to 2015’s fourth quarter total accepted price of $8.62 billion, according to an analysis by TRData of accepted offering plans from the New York State Attorney General’s office. 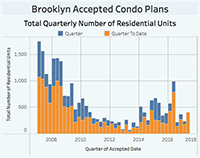 The total number of Manhattan condo units accepted, however, tells a different story. 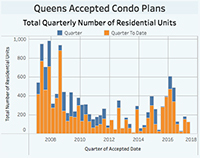 The second quarter of 2017 accounted for 322 approved residential units in Manhattan, the lowest number of units to officially hit the market in a quarter since the fourth quarter of 2014, where just 222 units were accepted. This quarter’s residential units make up less than half of the number of accepted units that hit the market in the second quarter of 2016, which totaled 812.